Many international organizations denounce that the systematic lockout of women from social and political power is responsible for the phenomenon of double/multiple discrimination, so that in every social category, the status of women is always the lowest. This severe injustice is at the core of the situation of violence which still remains in the world today and poses a real challenge for our future. 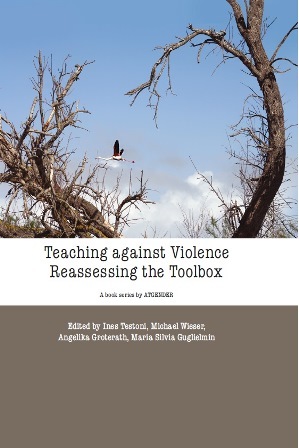 Teaching against Violence: Reassessing the Toolbox, which is the result of an important European Daphne project (Empower) involving many European Countries, is edited by Ines Testoni, Michael Wieser, Angelika Groterath and Maria Silvia Guglielmin who believe that this situation of injustice is the result of a substantial lack of education about gender equality. The volume presents some active techniques that were adopted during the interventions to promote women’s empowerment, and in particular we discuss the results obtained to test their effectiveness. The mission of this volume was to collect the contributions of academics and researchers who face this issue from various perspectives, to present the state of the art research in multiple fields of study and to suggest some educational best practices that can be used where this problem is particularly severe. Women are still entangled in back-lash regressive environments which keep them in a state of backwardness. Notwithstanding the considerable efforts by European policies to reduce this gap, nothing seems to be able to decrease the persistent humiliation of women and their submission to traditional logic that keeps them strongly subordinate to men, thus making incompatible the dimensions dejure and defacto, in some areas of the Mediterranean and Southern Europe. Educational aspects are believed to be critical for the promotion of psychosocial change. How to deal with gender, women, gender roles, feminism and gender equality in teaching practices? The ATHENA thematic network and ATGENDER bring together specialists in women’s and gender studies, feminist research, women’s rights, gender equality and diversity. In the book series ‘Teaching with Gender’ the partners in this network have collected articles on a wide range of teaching practices in the field of gender. The books in this series address challenges and possibilities of teaching about women and gender in a wide range of educational contexts. The authors discuss pedagogical, theoretical and political dimensions of learning and teaching on women and gender.